Create the perfect, personalized scene from morning light to movie night with the Platinum™ App from Hunter Douglas. The App works with interface componentry from Hunter Douglas and your Apple mobile device to allow you to control all PowerRise® 2.1 andPowerGlide® 2.1 motorized products over your wireless network. 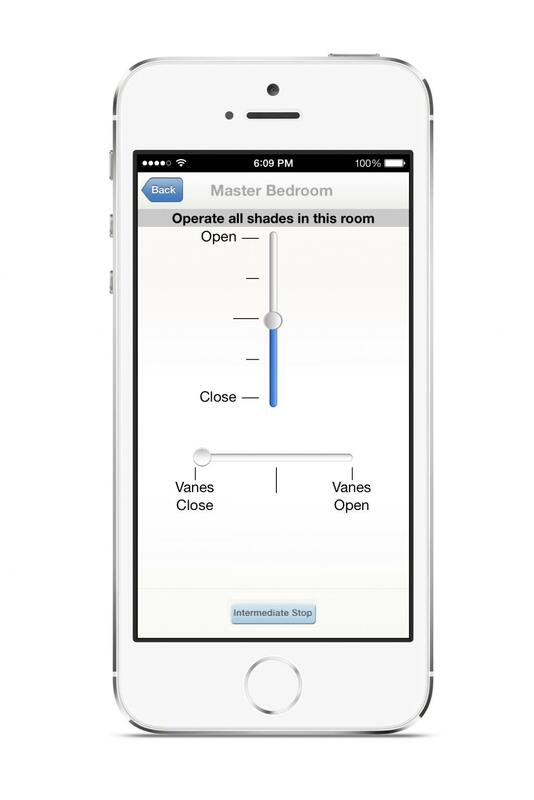 Available for iPhone®, iPad®, and iPod Touch®, the Platinum App offers personalized custom controls specific to your type of Hunter Douglas motorized shades, sheers, draperies and panels. Control window fashions individually, by room, or throughout your home—the possibilities are limitless. Requires a Platinum App Bridge kit for operation.